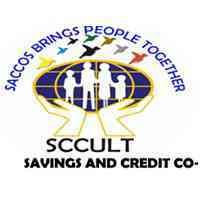 SAVINGS AND CREDIT COOPERATIVE UNION LEAGUE OF TANZANIA (SCCULT) 1992 LTD. The Savings and Credit Cooperative Union League of Tanzania (1992) Ltd is the National Association of SACCOS in Tanzania Mainland is currently expanding its programs to provide technical support services to its a liates. SCCULT (1992) seeks young and energetic Man or Woman to volunteer for the under-mentioned post. Responsible to the Executive Secretary for the Management and Administration of the Business Development, Communication and Marketing Department including product innovation, publication of SCCULT (1992) LTD Newsletter, liaise with Radio and Television stations to disseminate information on SACCOS, Market the products and services of the Union, ensuring that the Model SACCOS concept is transferred to SCCULT (1992) LTD and SACCOS and providing input to the overall success and growth of the Union. a) Lead the e ort in ensuring that SCCULT (1992) LTD achieves high quality marketing and Communication standards in all Union activities. b) Develop and implement a public relations strategy. c) Plan and implement all the advertising campaigns through the public media. d) Co-ordinate the activities of the sales force. e) Lead the e ort in ensuring that SCCULT has a strong public image. f) Manage the Union’s Information dissemination channels to ensure a well coordinate message to the target market. g) Ensure publication of SCCULT Newsletter. h) Liaise with Radio and Television stations to disseminate information on SACCOS. i) Conduct market research that will provide the Union with the relevant information relating to client needs/changes in the market place. j) Assist management in developing the strategic marketing plan on which the success of its activities depends. This includes marketing, public relations, advertising, promotion, market research, product management and sales force. k) Performa any other duties and may be assigned by the Executive Secretary. a) A degree in Marketing, Commerce, Economics with a diploma in Information Technology or any other degree with a diploma in Marketing, Commerce, Economics. e) Must be computer literate. 03rd May, 2019. Please, note only short listed applicants who meet the specifications will be contacted for an interview.